Ray Kelley, music producer and professional cellist in the Los Angeles entertainment industry, has taken his musical concept of producing destination albums that remind visitors of their travel experiences from Palm Springs to Chicago and now to Singapore. Resort Music celebrates almost 30 years producing music for resorts, City destinations and for performance on satellite, cable, Internet and radio broadcasting. Thanks go to the incredible musical talents and generous spirit of the musicians that graciously said yes to working on our albums. The Ray Kelley Band includes some of the most heard musicians in the world, performing on records with top international artists. In addition to studio work, they are part of many Award shows including: the Grammys, Academy Awards (Oscars), Billboard Award Show and the Emmys. Band members have also worked on television shows and motion pictures with many famous composers like John Williams, Thomas Newman, Danny Elfman, Michael Giacchino, Hans Zimmer, and many others. As composers, arrangers and performers, these artists continue to be some of the most sought-after musicians in the recording industry. Resort Music was founded in 1988 by Ray Kelley with a concept based on showcasing geographic locations with music that would pleasantly remind people of their business and personal travel experiences. Resort Music albums are composed, arranged and performed by some of the most talented musicians in the Los Angeles recording industry. Resort Music provides a fresh, stimulating collection of contemporary instrumentals that appeal to all ages... and all musical tastes! Beautiful Dreams, a two CD set was released in Germany, Austria and Switzerland by Bertelsmann Music Group (BMG), with headquarters in Gütersloh, Germany. 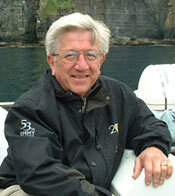 Internet, cable & radio broadcasting of Ray Kelley Band are ongoing. Our radio history includes being featured (#12) on a TM Century “Hit Disc” that was sent to over 2,800 radio stations. 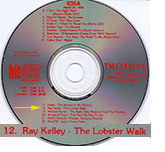 “The Lobster Walk” instrumental, (Jim Cox, composer), was featured on the CD along with some very famous artists including: Madonna, Toni Braxton, Celine Dion and Heart. 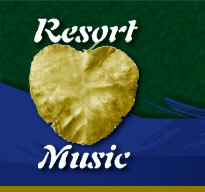 Resort Music albums are digitally distributed by Warner Music/Zebralution. Ray Kelley Band has 24 albums available on hundreds of Internet sites, mobile carriers and digital storefronts in over 75 countries. You can access downloads through iTunes, 7 Digital, Amazon, Rhapsody as well as other digital music services in Asia, Europe, Central and South America, Mexico, Canada and the United States. Resort Music provides a fresh, stimulating collection of contemporary instrumentals, appealing to all ages. Music styles range from Pop, Rock and Country to Ambient, Jazz and Native American… plus instrumental sound-alikes of all your favorite hits! You will definitely find something that matches your musical preferences.! Resort Music is pleased to be digitally distributed by Warner Music/Zebralution.